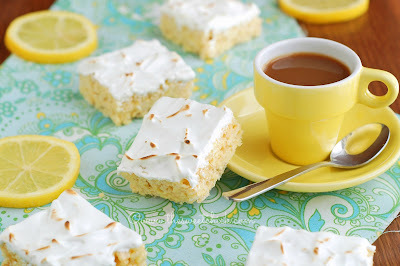 The Rice Krispie bars are pretty basic...cereal, marshmallows, butter, and some lemon juice and rind. For the meringue, I made a Swiss Meringue. I kind of combined Martha Stewart's recipe and Sweetapolita's intructions. I did heat my egg whites and sugar in my stand mixer bowl over a pot of water. And I heated them to 160º F.
I did not however, have any cream of tartar, so I skipped on that. But the meringue did hold up anyway. I did my little happy dance when it all worked out. I really didn't feel like going out to the store at night just for cream of tartar. At this point you can spread this delicious marshmallowy goodness on top of the Rice Krispie treats and cut into squares. 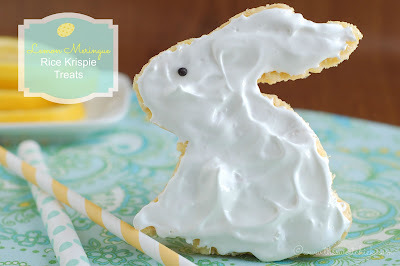 Or, if you feel creative, you can pull out your cookie cutters and cut out cute Easter shapes, then spread them with the meringue. For the bunny, I left the meringue white and I added a dab of Wilton's black decorating frosting that I used here. 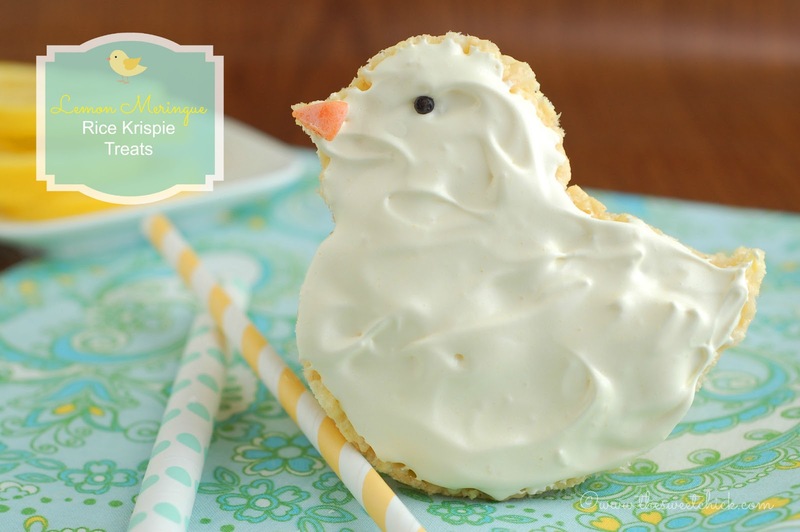 For the chickie, I added a bit of Wilton's yellow gel food coloring to the meringue. And I cut a wedge of an orange candy melt wafer to make the beak. You can probably use an orange gummy candy also. Also for added interest, if you have a kitchen hand torch, you can torch the tops of the meringue to give it that "baked"look. Don't worry , they still taste the same whether you torch them or not. I just love these! 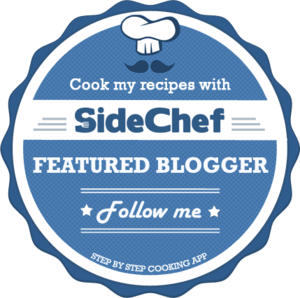 I have been scrolling around your blog and am now hungry for something sweet! Can I com ever? I would love it if you would share this recipe and some others at the In and Out of the Kitchen link party! OK Cynthia, I linked this recipe. I'll try to do some others next week. Yes they were good. I ate quite a few, but did share with my office mates also. I am so glad you decided to link these to the In and Out of the Kitchen link party! I just re-read my earlier comment and can't believe my spelling is so bad! I look forward to seeing what you bring to the party next week. These are very cute and creative! I would never have thought of making something like this! Genius! I have these marshmallows and I haven't figured out what to make with them! Thanks so much for joining me at Two-Cup Tuesday at Pint Sized Baker. I hope to see ya again tomorrow night. I had no idea there was flavored marshmallows. Where have I been? 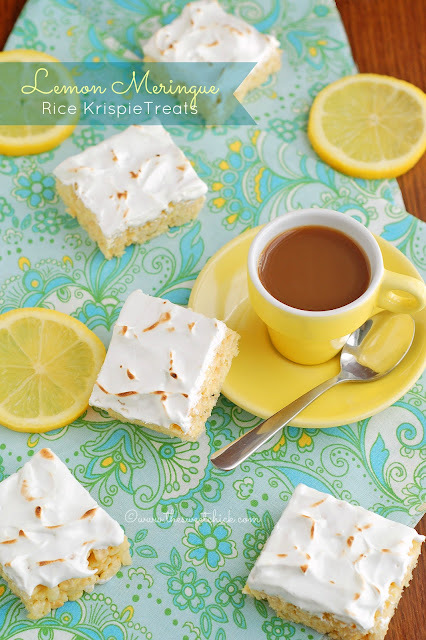 This is a great take on a rice krispie. Thanks for sharing on Thursdays Treasures. This will be one of my features. I found them at Walmart Christie. I can't wait to try these! They look so good! Thank you for the feature Liz.